AeroBus was established since 2007. 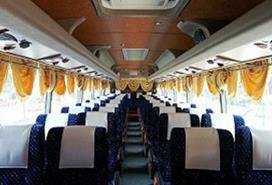 AeroBus management believes in the 3C concept which is “Cheap, Convenient and Comfort”. The vision propel the whole team strives to provide an efficient and quality service that fulfils the general public’s needs. In early 2009, AeroBus had expanded with a fleet of 20 express buses and over 80 staff, plying 42 trips to and from KL Sentral and Low Cost Carrier Terminal. The first bus starts as early as 2.45am to midnight 2.00am daily with frequency of every half hour. At the beginning of operaton in 2007, Aerobus were only ferrying about 33 thousand passengers per month, but with the team effort and clear vision from the top management to ground operation staffs, Aerobus is able to achieve over 80 thousand passengers per month since 2008, averaging almost 3 thousand passengers per day. Aerobus is the only bus service provider in the market providing bus service from KLIA2 to Genting Highlands and Genting Highlands to KLIA2. This shuttle service is 6 trips per day for either direction. This service is especially convenient for tourists who wish to visit Genting Highlands directly right after touching down KLIA2, because tourists do not need to spend a trip from KLIA2 to KL and then transfer bus to Genting Highlands. Just recently in July 2014, Aerobus added two new bus routes of bus from KLIA/KLIA2 to Petaling Jaya, arriving at Paradigm Mall and bus from KLIA/KLIA2 to Klang, arriving at Premiere Hotel. Returned service from Petaling Jaya, Paradigm Mall to KLIA/KLIA2 and from Klang, Premiere Hotel to KLIA/KLIA2 are also provided by Aerobus as well. 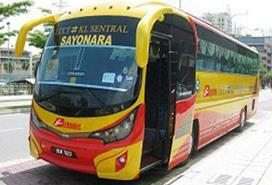 These bus services from Aerobus provide great convenience to residents in Klang and Petaling Jaya area.